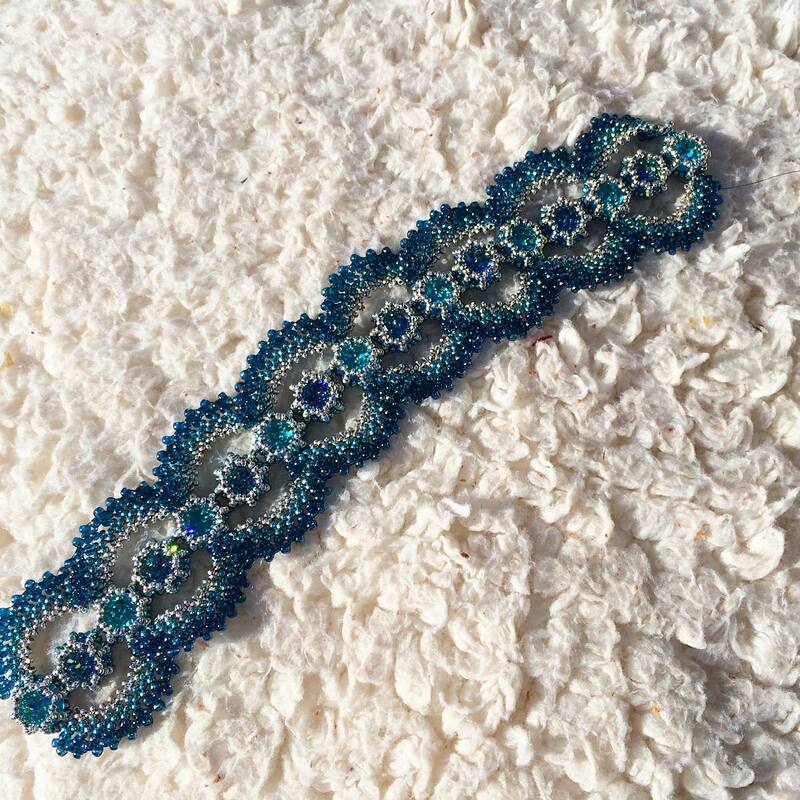 The inventor of Hubble Stitch, the brand new bead stitch that's taking the world by storm is coming to the Bead Spider Open Day! Melanie De Miguel herself, will be teaching four introductory classes throughout the day on her amazing and innovative new technique. The best news is this exciting and amazing workshop is only £10! As a further special offer, your ticket will entitle you to £5 off a signed copy of Melanie's no.1 bestselling book "Let's Hubble!". 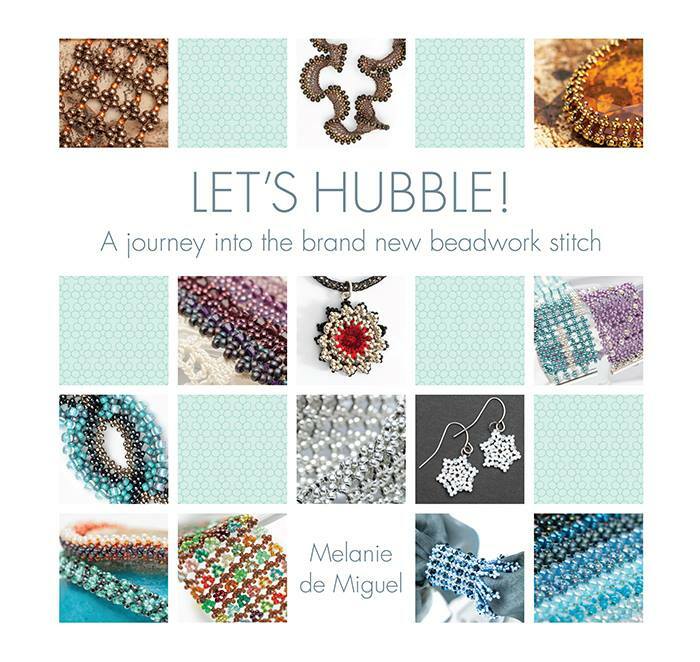 During the hour long class Melanie will personally be taking you step by step through one-drop and two-drop hubble stitch techniques and how to incorporate different size beads into your designs. 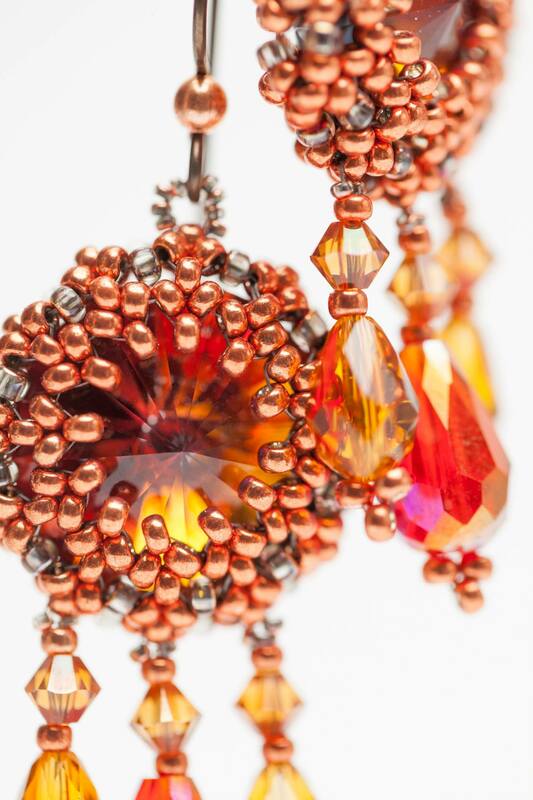 Melanie de Miguel is an international beading designer and tutor. In 1999 Melanie attended the first Great British Bead Show and joined The Beadworkers Guild. As a qualified Science teacher and a bead artist with her own designs and ideas, Melanie was encouraged by the Guild to begin teaching. Immediately she began holding private workshops at home and teaching for the Guild, and she helped to found a local beading group, the Dangerous Beaders. Since then, Melanie has taught workshops for bead groups throughout the UK, at the Knitting & Stitching Show, at bead fairs and beading retreats, and is now a regular tutor at the Bead & Button Show in Milwaukee, US; she has her own YouTube channel for beading tutorials and her work has also been featured in a number of publications and beadwork books. Since she began designing, Melanie’s work has morphed through a number of styles, most notably influenced by her scientific background and inspirations from nature, but mainly driven by the mediaeval, Byzantine and Renaissance eras. Her designs are best described as intricate and innovative, incorporating minimalist beading of crystal cabochons. © 2019 Bead Spider Tickets. All Rights Reserved.